Honda Motor Company and its group companies have all come together to donate a sum of RS 3 crore towards flood relief and recovery efforts in the aftermath of the rain-caused floods in Kerala. Honda gave cheques of its contribution to the Prime Minister's National Relief Fund (PMNRF). 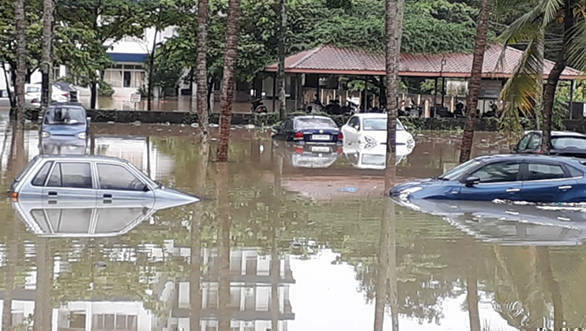 The floods had caused severe damage to life and property in the southern state over the past fortnight. Honda states that its donation is aimed at providing relief and rehabilitation for the affected people, and for reconstruction of areas damaged by the floods. Cheques amounting to Rs 3 crores were handed over to the Prime Minister's National Relief Fund in New Delhi today. "Honda family expresses our deepest empathy to all the affected people of Kerala who lost their dear ones, their homes and their livelihoods in this colossal calamity. As a responsible corporate, Honda group in India is committed to contribute in restoration of the devastated infrastructure and helping rebuild lives of the affected people. We will further support the local community and our customers in the state through our various support initiatives in the coming days." All Honda group companies in India - Honda Motorcycle & Scooter India Pvt Ltd., Honda Cars India Ltd., Honda Siel Power Products Ltd, Honda R&D (India) Pvt. Ltd and Honda Motor India Pvt. Ltd have contributed towards the reconstruction and recovery of the region.